Thanks to Puddletown aka Cheryl for spotting this 60s flower-power Peter Max-style Drexel bedroom set on Craigslist. 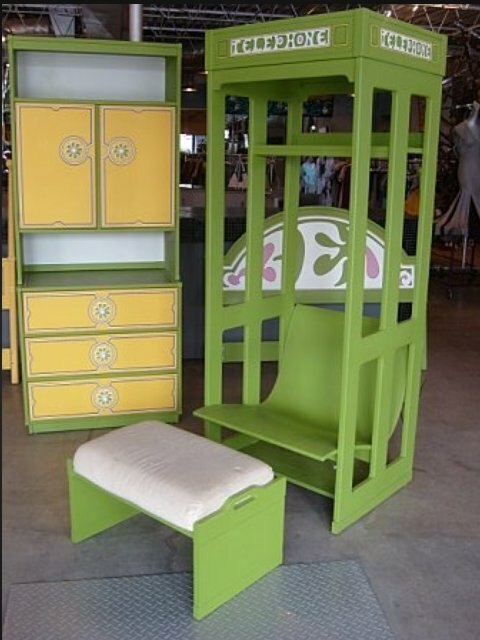 It’s in Minneapolis, and it’s not cheap, but oh my goodness, this is the greatest bedroom set in the world! And, thanks to seller Molly for the photos — [link expired]– and click through to the next page for 5 more photos. Pam spotted this groovy flower power Drexel bedroom set up for sale on Ebay from seller jay_c96 complete with a day of the week highboy dresser, nightstand, bookshelf and three single bed daisy headboards. 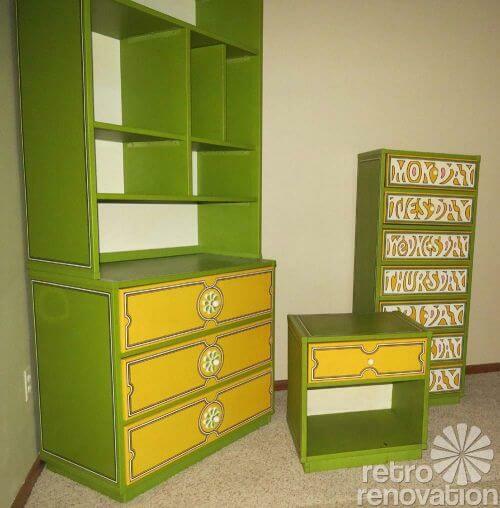 A flickr friend has identifed this AWESOME bedroom furniture as Drexel Heritage ‘Plus One’ circa 1970. She has a catalog, which said that Drexel interviewed girls via SEVENTEEN magazine to design the line. 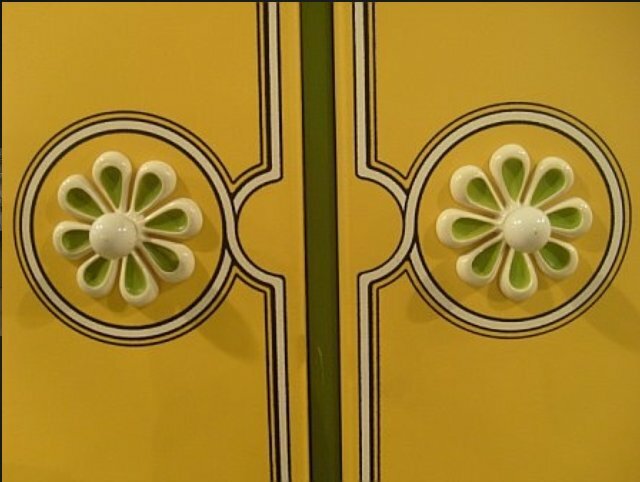 This reminds me of a house near us that had “house” emblazoned on the side, along with a dark blue and a light blue stripe that wrapped all the way around the structure. When they painted over it, it hurt. It was weird, but wonderful. 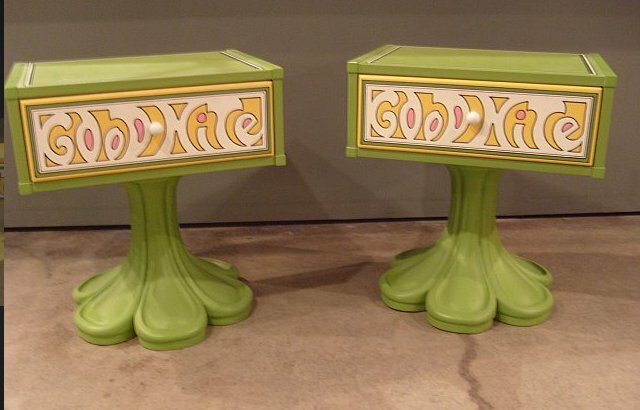 Several pieces from a set exactly like this were still available at a store on Southland Drive in Lexington KY as of 4/28/2012. I have a desk, rectangular mirror and the storage desk and drawer unit. 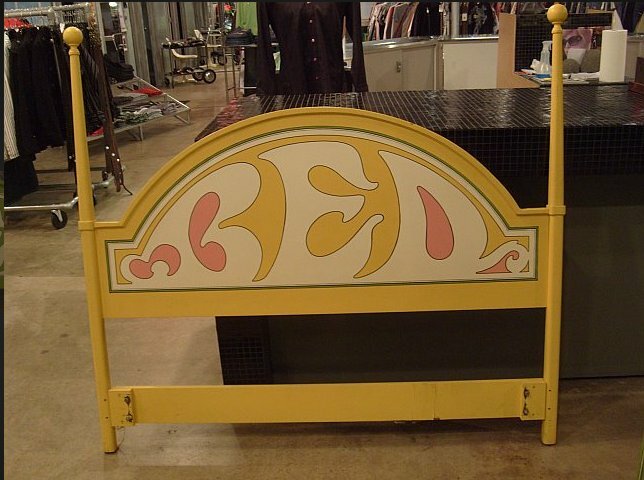 I have a Drexel yellow bedroom set that I’m going to put up for sale in Phoenix, AZ. 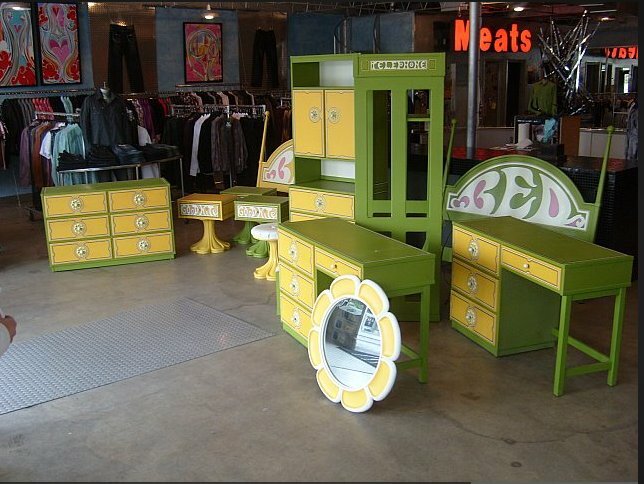 It has 6 drawer dresser, two night stands with flower base, round mirror shaped like the night stand base, double headboard that says Bed and a Telephone booth. Jon, I am interested if you would please give details. Lydia.. 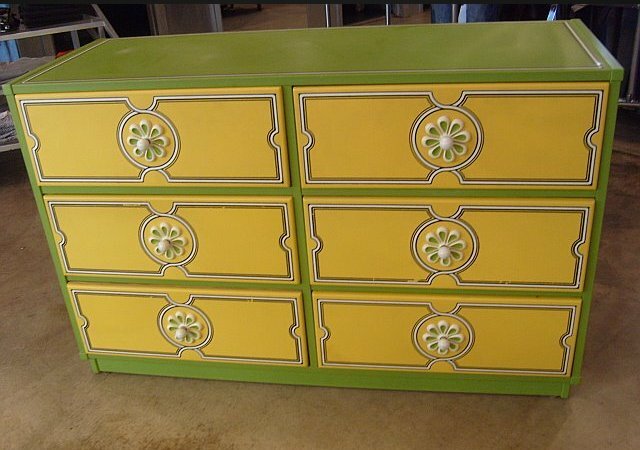 I have a dresser, mirror, desk, nightstand, chair for sale… all mostly yellow. I might still have a copy of the booklet that came with it as well. Hopefully this gets to you as I already posted this a few weeks ago. how do I publish this for sale on this site ? do I post my email or is that verboten? I see no forum from that link. …. just steel kitchens… kevinheller70 at the geemail site works for me. Gotcha thanks. I’m sure they get to be a pain. 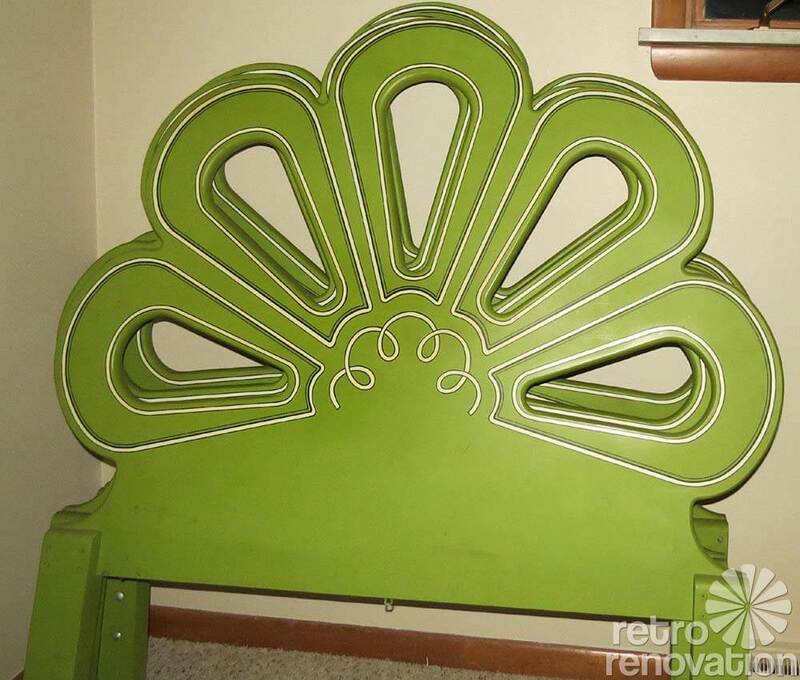 I remember all of this furniture in my grandparents house.. steel draws in the kitchen… those things had sharp corners! … if you were nearby and someone opened it near your leg… If you weren’t paying attention (like a kid like me, fooling around) you might get a nice scratch for a week or two lol.